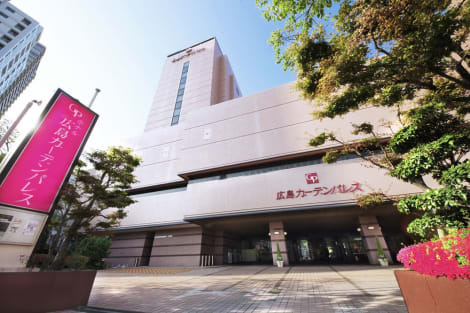 With a stay at Reino Inn Hiroshima Peace Park in Hiroshima (Naka Ward), you'll be minutes from Kyu Kokutaiji Atagoike and Hiroshima Peace Memorial Museum. 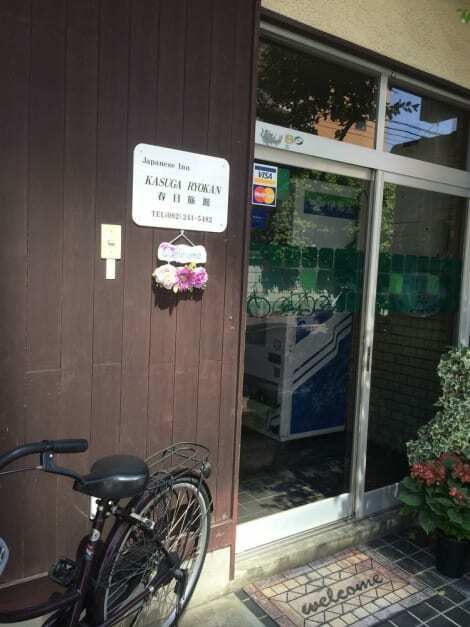 This hostel is close to Hiroshima Peace Memorial Park and Hiroshima Castle.Rooms Make yourself at home in one of the 24 air-conditioned rooms featuring kitchenettes. Complimentary high-speed (wired) Internet access is available to keep you connected. Conveniences include desks, housekeeping is provided on a limited basis, and microwaves can be requested. Take in the views from a rooftop terrace and make use of amenities such as complimentary wireless Internet access.Business, Other Amenities Featured amenities include luggage storage and laundry facilities. Featured amenities include complimentary wired Internet access, dry cleaning/laundry services, and a 24-hour front desk. Planning an event in Hiroshima? This hotel has facilities measuring 2142 square feet (199 square meters), including a meeting room. Self parking (subject to charges) is available onsite. Make yourself at home in one of the 385 air-conditioned rooms featuring refrigerators and flat-screen televisions. Complimentary wired and wireless Internet access keeps you connected, and digital programming provides entertainment. Private bathrooms with shower/tub combinations feature complimentary toiletries and hair dryers. Conveniences include phones and blackout drapes/curtains. Relax at the full-service spa, where you can enjoy massages, body treatments, and facials. You can take advantage of recreational amenities such as hot springs, a sauna, and a fitness center. Additional features at this hotel include complimentary wireless Internet access, concierge services, and shopping on site. Getting to nearby attractions is a breeze with the complimentary area shuttle. Make yourself at home in one of the 266 air-conditioned rooms featuring refrigerators and LED televisions. Complimentary wired and wireless Internet access keeps you connected, and digital programming provides entertainment. Private bathrooms with separate bathtubs and showers feature deep soaking bathtubs and complimentary toiletries. Conveniences include phones, as well as safes and blackout drapes/curtains. 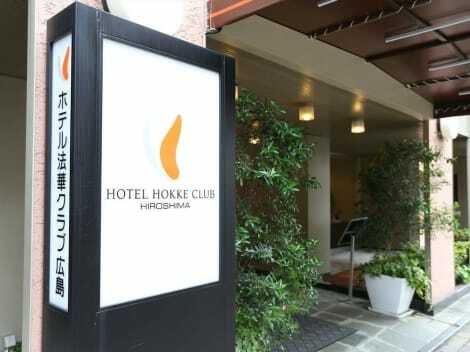 Located in Hiroshima (Hiroshima City Centre), Dormy Inn Hiroshima Hot Spring is within a 10-minute walk of Hiroshima Peace Memorial Park and Hiroshima Peace Memorial Museum. This spa hotel is 0.6 mi (1 km) from Atomic Bomb Dome and 1.3 mi (2.1 km) from Hiroshima Green Arena. Stay at the elegant Crowne Plaza ANA Hiroshima for a wide choice of cuisine and English language service in the heart of Hiroshima. 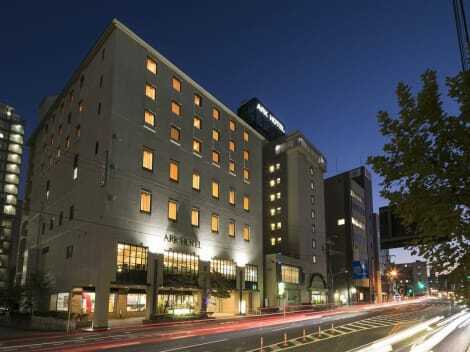 Crowne Plaza ANA Hiroshima is in Hiroshima's commercial district, just five minutes’ walk from the peace memorials. Ask the bilingual Front Desk staff in the marble floored lobby about our 22nd floor Le Platine French restaurant and bar, with a delicious a la carte menu and stunning views across the city. You can energize with a dip in our heated indoor pool and a sauna (Extra charge) with a fitness center (No charge). Facing the Fukuromachi street car stop on Peace Boulevard, Crowne Plaza ANA Hiroshima is a 10 minute taxi ride or 20 minute tram journey from JR Hiroshima rail station, with shuttle buses to Hiroshima Airport taking 60 minutes. We're a short walk from the banks of the Motoyasugawa River and the poignant A Bomb Dome. 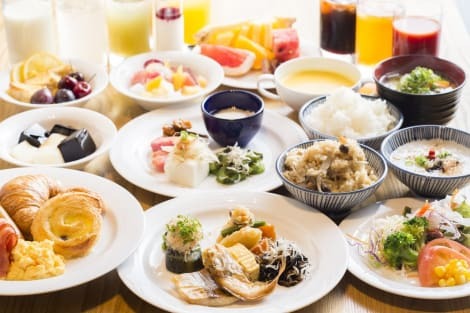 Locals have long been heading to the hotel's six restaurants on special occasions for outstanding Japanese, Chinese and Western cuisine. Our 1st-floor Fruitier restaurant serves up an expansive breakfast buffet with something to suit all palates. Crowne Plaza ANA Hiroshima has 13 meeting and banquet rooms for conferences and celebrations for 10 to 1,200 people. Our dedicated Crowne Events Director will advise you at every stage of the planning process and is devoted to making your event a success. Make yourself at home in one of the 10 air-conditioned rooms featuring LCD televisions. Complimentary wireless Internet access is available to keep you connected. 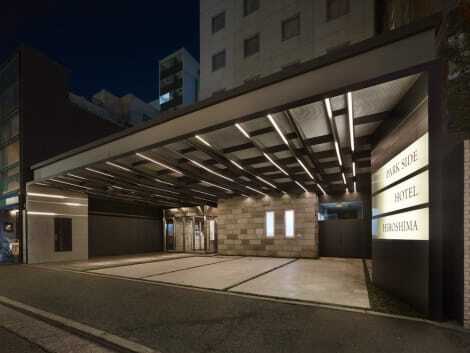 Located in Hiroshima (Hiroshima City Centre), Hiroshima Rich Hotel Namiki-Dori is within a 15-minute walk of Hiroshima Peace Memorial Park and Atomic Bomb Dome. 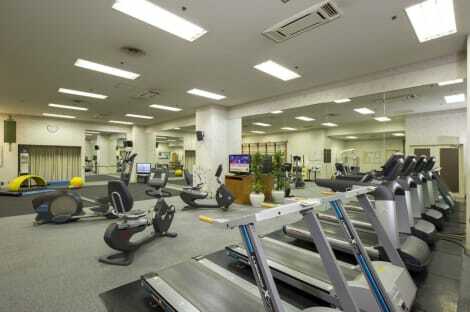 This hotel is 0.5 mi (0.9 km) from Hiroshima Peace Memorial Museum and 1.3 mi (2.1 km) from Hiroshima Green Arena. lastminute.com has a fantastic range of hotels in Hiroshima, with everything from cheap hotels to luxurious five star accommodation available. We like to live up to our last minute name so remember you can book any one of our excellent Hiroshima hotels up until midnight and stay the same night.